This was the number 1 post on Reddit last week. 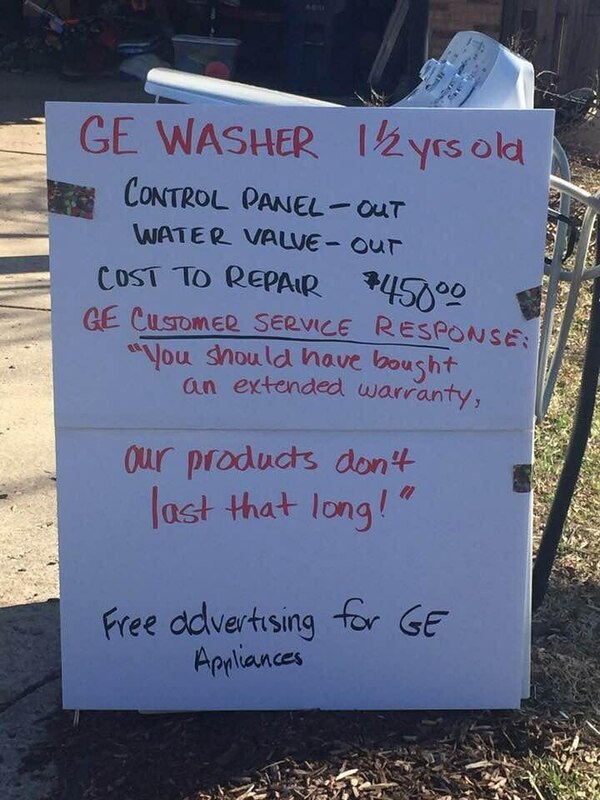 Now we do not sell GE, but they are not that bad. In fact, there are companies worse than GE. This is a simple customer service issue and a not so simple shortage of technicians issue. In this article, you will learn the many problems with appliance service, how to avoid them and be one of the few recipients of decent appliance service. Have an average to decent car? If you want to scare your dealer, just tell them you will grade them below a 9 on a survey. Dealerships are compensated on NPS (Net Promoter Score). A score under 9 or bad recommendation is a problem for them. A car company like BMW or Audi understands customer service after the sale is key to customer retention and your dealer is frightened of receiving poor scores. Most appliance companies fail to comprehend this. In fact, many of the largest manufacturers do not employ a single service tech. Of the main retailers, Best Buy, Home Depot, Lowes, and Sears, only the embattled Sears offers service with technicians to fix appliances in your home. So in most cases, you cannot expect many manufacturers and retailers (even local ones are giving up on service) to fix your appliance. Unlike car dealers, appliance companies have no way to help you or repair your appliances after the sale. Here is why you will always be disappointed with warranty service: The manufacturer will contract an independent service person $75-100 to fix a refrigerator. That servicer must buy and return parts, run a van, and place a claim to be paid. If they must return to your home to fix that refrigerator, they are still only paid that $75-100 or below their cost of fixing your appliance. So, they are not many companies lining up to be in warranty service business. Refrigerators now use less energy than light bulbs due to energy regulations. Dishwashers and front load laundry use less energy and water as well. However, many French door refrigerators and professional ranges have service rates over 30% in the first year, because of chronic icemaker and ignitor issues. Many of these repairs are minor but still need service. Appliances are more efficient but less reliable especially in certain product categories. Other more reliable appliances, like dishwashers and front load laundry, are more complicated to fix than the simple Maytag washers manufactured before 1990. When I started in 1986, we bought from Maytag, GE, and Whirlpool. All are located in the Midwest, and shipping was minimal between the factory to our warehouse. 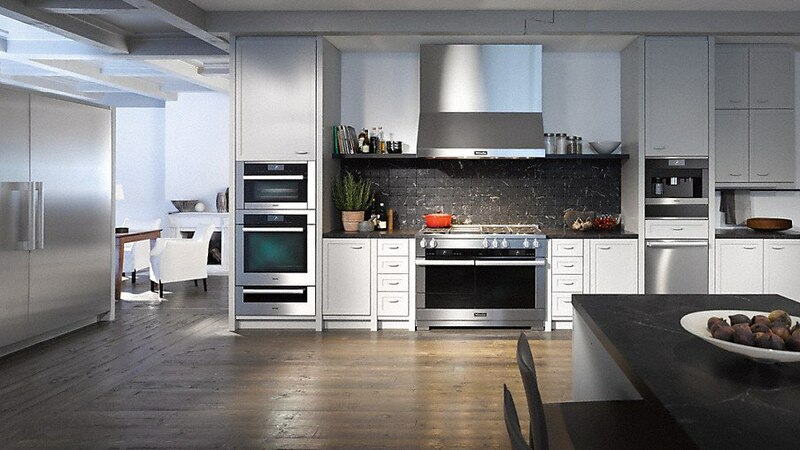 However, the main lines for many appliance stores are Samsung, LG, Miele, and Blomberg. They are from Korea, Germany, and Turkey. There is more opportunity for damage and defect with so much travel with more warehouse stops in between. I was reading a review from a couple in California. They bought a Samsung refrigerator from a New York-based internet company, and it was not working. That Samsung refrigerator was shipped from Korea across the country. Then sent back from New York to California. That is a recipe for unhappiness because there is far too much handling from too many different companies. You cannot avoid service issues. In a kitchen, you are almost statistically guaranteed to have at least one issue with 4 new appliances in the first year. However, you can look at more statistically reliable brands (we have that information at the end of the article). Most importantly, you must pick a dealer or service agent who can fix appliances after the purchase. It isn’t easy to do. Locally, Belcher's, Poirier, and Hunter Appliance have a decent reputation. Don’s Appliance in Pittsburgh is very good. Then again, there are 6 brothers in the company and 4 work in service. You have to be your own best future advocate. Read reviews from Yelp and Angie's List. Look for a volume of complaints on the Better Business Bureau. Anyone can get an A+ from the BBB by simply responding to complaints, but the amount and type of complaints should tell you about the company. The state of service in the appliance business can only be considered tragic at best. 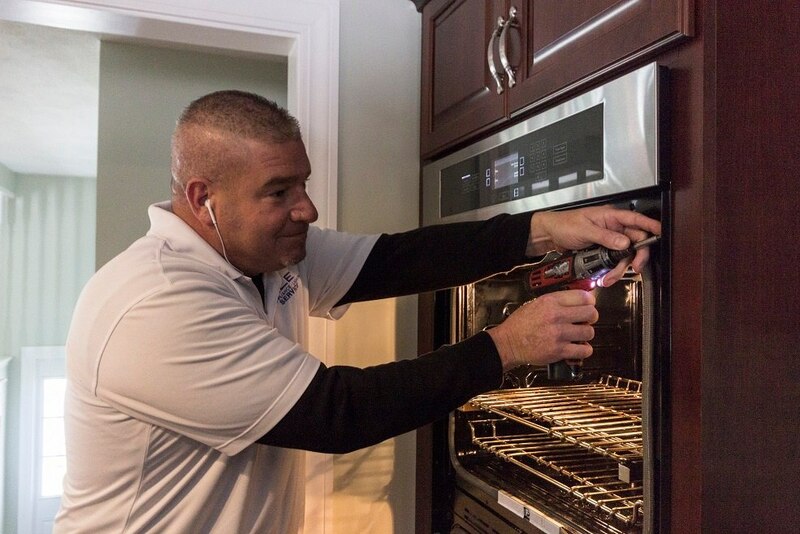 Before you spend your money on beautiful, new state of the art appliances, have an idea who will fix them after your purchase. Or be prepared to throw them away like our Reddit friend. What Appliances Should You Warranties For?